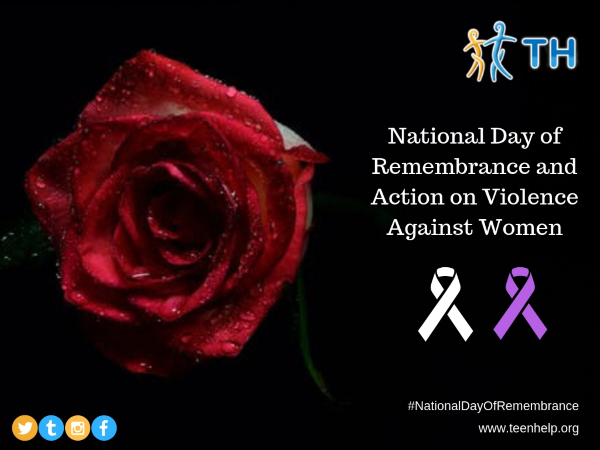 Today, December 6th, is National Day of Remembrance and Action on Violence Against Women. In 1989, 29 years ago, 14 young women lost their lives in an act of gender-based violence that shook Canada. A worldwide awareness day to end violence against girls and women is now recognized. It is 2018, we can spread awareness and help support those who are experiencing violence because today our society has more resources in place to help assist girls and women. TeenHelp would like to extend our hands to those who have experienced and are experiencing violence and those who don't have anywhere else to go for support. TeenHelp reaches out with our hands to give you a safe place to gain resources and to gain the confidence to reach out within your communities for support. TeenHelp has a wide variety of different resources and articles. We think these following links would be helpful for you if you are someone experiencing violence or know someone who is. Violence against women or any race is an awful thing and awareness should be spread loud and clear every single day. Thank You for sharing this. Sorry about all women who have happened to undergo abuses, violence and awful treatment...all of you girls deserve the best! From someone who has been hit by her then boyfriend this means a lot to me. No one should ever have to endure abuse from anyone. Bless those who go through this and may they find peace.